It’s been a while since I’ve posted here on Mom of Many because I’ve been busy putting together my DIY program. But I’m back today with the first in a series – it started out to be a simple set of tips and morphed into a full-blown series because there was so much to say. How do I tell them “No,” when I can’t help? Am I obligated to help every time they ask? What do I do when I have a demanding or whiny adult child? Am I obligate to babysit every time they ask? How do I deal with unkind behavior from my adult children? Do I support them no matter what? How do I deal with my feeling of guilt if I have to walk away or say, “No.”? What if they keep asking for money? Do I give it or loan it? Mom, can I use your credit card? And the beat goes on. So many questions. How do we know what to do? How do we deal with the emotional implications? Here I will lie out my experiences with my 15 kids and perhaps show you what works and what doesn’t. Some by choice, some not by choice, though some would argue everyone is right where they are due to their own choices. But really, let’s be gracious and take the “high road” and realize that sometimes circumstance can throw a curve ball and knock even the stoutest person off their feet. ROAD TO DESTRUCTION – This is the road that will destroy you, your family, your future, possibly your life if you continue down. It’s hard to believe people choose this road, but they do. SHAKY GROUND – This is the road that many walk daily. Financial struggles, relationship issues, job/financial woes, health issues, etc., but you are striving to work it out and your desire and choices are eventually going take you to STABLE STREET. STABLE STREET – This is where maybe you aren’t financially independent, are fighting illness, or haven’t yet realized all your dreams, but you feel happy and confident, your relationships are great and you have a basic satisfaction and can honestly say, “Life is good.” You feel like you are doing well and feel blessed – you have a handle on life. PROSPERITY LANE – I’m not sure anyone ever makes it to prosperity lane. I suppose some do or think they have, but life isn’t normally a bed of roses all the time. This is where we all desire to stroll. Relationships are fulfilling. You feel you’ve found your purpose in life and can pull out the stops in every area. Financially you are doing great. You are able to give to others. You have the wisdom to make great choices and confidence to advise others how to live. Others look up to you and your kids want to be just like you and appreciate you. Yep. Not sure this is possible, but it is what we all strive for. One never ‘arrives” until the end of their life. This life is a road we are walking TOWARD a destination. Right now I won’t get into the spiritual aspect because that could be considered a “rabbit trail.” Though, I believe to be living in the Spirit allows us to access the ultimate road map. When I refer to our circle, I mean the realm where we live, where we are influencers. Those people love and respect us, treat us with deference, are there to help when needed, are loyal, and genuinely desire to be a part of our life consistently and faithfully. These are our people. Anyone can be in our circle, but they must earn a place. No one can join our circle over night. Here are the guidelines we use when it comes to “helping” our adult kids. I put “helping” in quotation marks because we need to ascertain first whether stepping in and “helping” is really helping. Through the years when we parented, many people felt it their obligation to step in when they saw some of our adult kids struggling and advise, give money to and even house them. This isn’t necessarily the right thing to do because it could be classified as enabling. But that’s another discussion. If your child is ROAD TO DESTRUCTION with no sign of changing their lifestyle or making better choices, if they ask for advice but don’t follow it or just plain turn a deaf ear to the voices of reason all around them, then it should be parental hands off. Prayer and a whole lot of walking down the avenue of hope is our only resort as parents. Now if they leave that ROAD TO DESTRUCTION and step onto SHAKY GROUND, you have a different scenario. They are cleaning up their lives, striving to improve their situation, looking for and following advice for the most part, and you see a genuine desire for change, then that changes things for you as a parent…maybe. We must realize that SHAKY GROUND could also be the road of your new adult kids, newly married adult kids or even the road of new parents (grand kids, yes!). To be on SHAKY GROUND doesn’t mean your kids have done anything wrong or made bad decisions, it just means what it says. They are trying to find and keep their feet in the middle of difficult circumstances. Some do well; some do not. But for us as parents, we have to decide what put them there and if our help will actually help, if they need to do the balancing act alone or with you and your resources by their side. When if your kids make the decision to step from THE ROAD TO DESTRUCTION to SHAKY GROUND, it certainly does change your relationship status. This is where relationships begin to mend but they are still tenuous and will need lots of work to get back on the right road. Should you step in and help at this point? If so, how much? That’s a hard question. Let’s answer a few questions first. 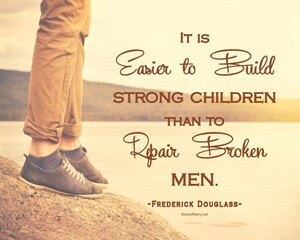 Is your SHAKY GROUND adult child really on the right road or are they just asking for help because they are in a crisis? What road are you on as a parent? Are you on STABLE STREET or PROSPERITY LANE where you have the resources to help them? Are you sure that if you help them that others who have earned a place in your CIRCLE will not go without or that your actions won’t damage your relationship with your CIRCLE? It’s good to let others into your circle, but not if it’s going to hurt the ones already in there. Guard your circle. Are they in your CIRCLE? Does this adult child that is on SHAKY GROUND treat you with respect in private and public? Do they show appreciation when you help them? Are they trustworthy? Wait till you’ve read the whole thing before you decide.